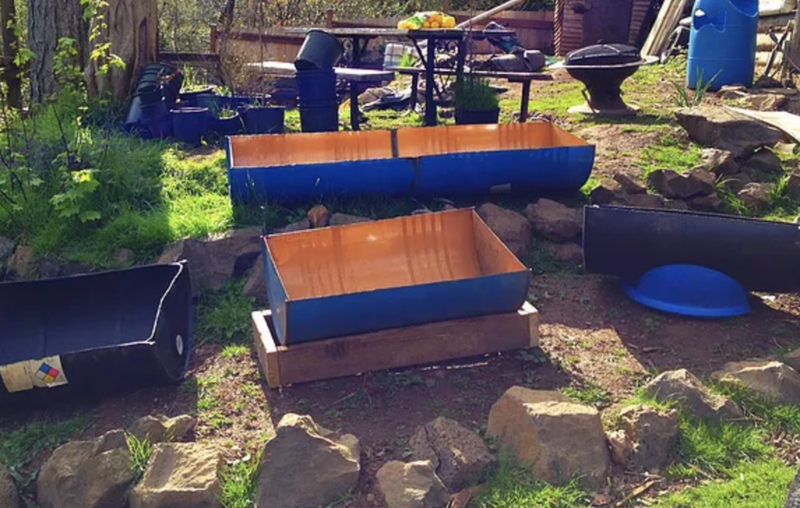 Whether you need custom lady-bug houses to keep your gardens pest free, black soldier fly hatcheries to auto-feed your chickens naturally, Bokashi composting barrels to turn waste into fertilizer, or bat breeding colonies to get rid of pesky mosquitoes - we consult, build and help implement permaculture solutions to solve a myriad of everyday problems! Respect for life means nothing is wasted. We teach hide tanning, bone carving, and primitive tool making to ensure all resources are utilized and life is honored. We intercept and repurpose metal and plastic barrels, IBC totes, bulk bags, buckets and pallets to create livestock feeders, worm farms, black solider fly hatcheries, composters and bokashi systems, saving THOUSANDS of cubic feet of plastics from ending up in landfills! We utilize local organic manure, expired vegetables, local spent grains, and other organic matter in extensive vermiculture systmes to build soil and create some of he best compost you can find anywhere.